My Opinion — Describing the "Magic"
If you've been keeping up with the blog over the last few months, you know it's been a long road to my transitioning into buying into a Medium Format system — lots of back and forth, and lots of uncertainty on what I actually wanted or needed — all I knew is that I wanted to, and it's been a dream for the last 7 or 8 years. When the Fujifilm GFX-50s was announced in late 2016, I was extremely excited at the prospect of an "affordable" medium format entry for enthusiasts and working professionals — Yes, the Hasselblad X1D was announced prior, but with the shipping and production issues that plagued its launch (still to this day, even after the GFX has been released and shipping), there was very limited information on the camera — and even at $9,000 (body only) it was still priced just out of reach for enthusiasts and all but the most serious professionals or wealthy amateurs. Within the last year I became more serious about unloading a lot of my old, less-used gear to fund my purchase into my medium format system of choice (which, up until recently, was undecided). I unloaded a ton of lighting and modifiers I no longer used, along with nearly all of my Canon primes, as well as my Fuji X-Pro 2 and the lens lineup that I had been building for the last year. This worked out well, as one of my goals in 2017 was to simplify my gear, inspired by Zack Arias' same goal. Having too much gear for me was almost as creatively crippling — maybe moreso — than not having enough, or not having the right gear. At least a problem with a lack of gear can be solved creatively, while having all the right gear can turn everything mundane and a case of information overload ("which one should I use? ", "but this does that better", "...and that does this better but..." — first world problem, I know). The sale of the gear had put me in a position to move forward with a significant chunk of change to put towards a new (and much more expensive) system. Even though I would be acquiring more gear, all of the gear I unloaded would barely get me into a basic medium format kit, and I would have to work within the confines of that kit until I am able to save more and build up the new kit, which would be many times more expensive. Initially the GFX was going to be the direction I wanted to go when moving forward with Medium Format (For musings on why I wanted to switch to Medium Format, check out this post). But after handling it at a demo day, I left a little unimpressed with what I was sure to be the catalyst for my move to the Medium Format Digital world. I think my expectations were it to feel like "magic", but the camera felt like a toy in my hands. Having some experience handing and testing Hasselblad H-series cameras in the past. It felt like a grown-up XT-2, which, in itself isn't a bad thing — but more on that later. I received my H6D-50c about three weeks ago, and by now feel like I can give a fair assessment as to how it feels working with this camera, along with some of the hurdles I've encountered and other quirks that come with this system, or more accurately, working with Medium Format in general. XF 16mm f/1.4R WR: 0.03% — This was just a few shots during testing the lens at a camera shop. XF 23mm f/2R WR: 0.03% — This was just a few shots during testing the lens at a camera shop. Note: If I had taken into account the XF 23mm into the "35mm" category above, the data would have been far more skewed, as that lens practically lived on my X-Pro 2 for everyday photography. So it seemed that the 35mm and 100mm fields of view (in 35mm terms) were my most used focal lengths in my most recent work. Considering the work I actually do, it was a fairly easy choice to first go for the macro over a more "general purpose" 35mm. I had actually already decided that the HC 120mm would be one of the first lenses for the new system that I would own, but the above data confirmed it. I also picked up the ubiquitous HC 80mm f/2.8 for when I needed a wider field of view. As I was saying before I got sidetracked...The H6D. First and foremost, even as expensive as this gear (and others like it) is, the gear doesn't make a photograph, and our cameras are just tools. Most of the amazing imagery we see and are inspired by has probably been captured on much smaller cameras, and I have not given up my Canon kit, nor will I ever. I will still shoot mostly with my Canon and Fuji cameras, as they are more well-suited to "all around" work, slotting in well for any purpose because of their speed — especially with regard to autofocus and frame rates. So where do I start? It's like acquiring a "dream car", or "dream" anything, really. Medium Format Digital is considered the pinnacle of digital photography and having finally reached this goal, I was initially in shock that I finally owned such a piece of equipment — Still am, almost a month later, but by now the initial luster has worn off, and I'd like to talk about what it's like to "live" with the Hasselblad H6D-50c from a practical standpoint, and my initial experience with adding Medium Format Digital to my kit. The H6D, like all previous H-series cameras before it, is an absolutely beautiful camera. The look, the weight, the feel of the camera screams quality and craftsmanship. The camera does feel lighter than previous iterations, specifically the H4D and H3D series cameras — while a lighter load is always welcome, at this point the difference is almost negligible — especially if you'll be using it most of the time on a tripod (which you should). The cosmetic differences in the H6D are minute but noticeable. The subtle changes in color and construction help to highlight the modernization of the H platform. 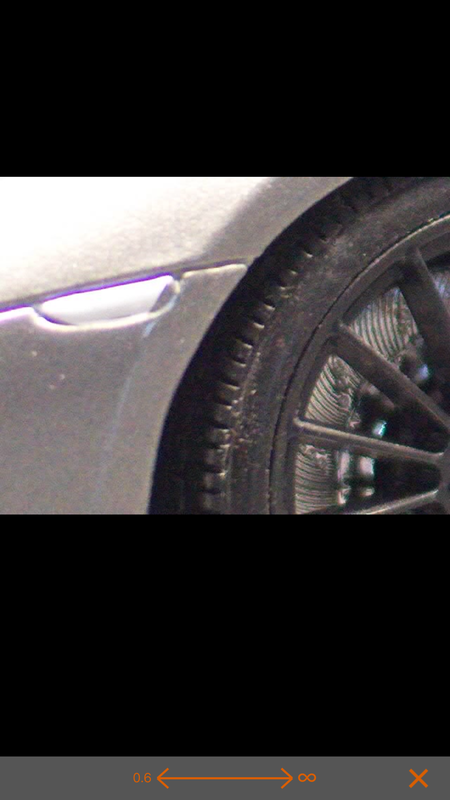 The body is now a greyish-blue, a departure from the silvery-grey of previous models which helps to streamline the overall body's lines, as well as contribute to the modernized look. The "H6D" emblem near the controls is now printed in a minimalist Helvetica font, as opposed to the Hasselblad font used on the H5D and before. Weather sealing has been improved, as has been the case with each generation of H-cameras — there are rubber gaskets to be found everywhere from the back, to all of the ports and accessory doors. The H5D was already good (as proven by Karl Taylor in his Fashionscape series), but the H6D improves upon the weather-resistance of its predecessor. The highlight of the new design is the bright orange shutter release. The orange is symbolic and a celebration of Hasselblad — a color they've carried into other products (like the X1D) moving into the future. The first thing you'll immediately notice when picking up the H6D (or a camera like it), is its size and heft. The setup above — something I'd use on an actual shoot — The H6D-50c (body, back, viewfinder), with the HC 120mm f/4 Macro (version I, hood attached), and the Broncolor RFS 2.1 flash trigger weighs in at a hefy 7.1 lbs (3.2 kg). While this may seem heavy, consider that an equivalent setup I'd use for about the same situation — Canon 1DX Mark II, 70-200 f/2.8L IS II, WFT-E8a WiFi Transmitter, and a Broncolor RFS 2.2 — weighs about a half-pound more at 7.7 lbs (3.5 kg); though as an apples-to-apples comparison, for close-up beauty/portrait or product work, the same setup on the 1DX Mark II with the 100mm f/2.8L IS Macro weighs 5.4 lbs (2.45 kg). In a backpack, the slight weight increase hasn't been an issue; I've taken it on day trips and hikes without even noticing the increased weight. In many cases, simply as a result of owning a "smaller" kit — consisting of the H6D and only 2 lenses right now, it ends up being lighter when all packed up (I tend to overpack, and take more than I need, "just in case"; it's something I'm working on :p). The battery/grip and ergonomics on all Hasselblad cameras is extremely comfortable and the camera is well-balanced, even with large lenses. The battery — which also serves as the grip — is nice and chunky, yet perfectly sculpted to fit most hand sizes. It has a nice indent for the pinky. The grip is extraordinarily deep and, combined with the indent in the rear where the rear command dial resides, offers a very positive purchase on the camera, even when holding the H6D one-handed with a long, heavy lens mounted such as the 120mm f/4 Macro or 50-110mm zoom. The grip is rubberized and further inspires confidence that you have a good grip on this expensive piece of equipment. The batteries for the H6D are 7.2v, 3200 mAh Li-Ion batteries, a slight improvement over the 2900 mAh batteries from the H5D generation, and nearly double the capacity of the older 1850 mAh batteries for previous generations of the H-series. This is probably due in part to the H6D's new "electronic platform", which surely draws more power from the batteries, but also just general advancement in battery technology and incremental improvements. As far as I know, all of the older batteries will work with the H6D (albeit lasting slightly fewer shots). The grip display is largely unchanged from previous models — while looking dated with its low resolution, it still displays all the relevant information and is easily readable in all conditions. For dark conditions, it is backlit. While I would have liked to see a higher resolution display à la the Phase One XF or the Fujifilm GFX, Hasselblad has taken a utilitarian approach in updating the H6D body — if it ain't broke, don't fix it. While many are self explanatory, the Menu/Video Recording button isn't immediately known. With a short press, the main menu is brought up on the rear LCD, and enables navigation and interaction of the menus via the front and rear command dials. Though, with the touch-enabled screen, I'm not sure why you'd want this — perhaps for navigating and manipulating the menu while wearing gloves. A long press switches the camera into video mode to record up to 1080p video RAW or h.264 (up to 4K on the H6D-100c). Long pressing this button again returns the camera to still operation. Something I would have liked to see Hasselblad include in the H6D — while they were completely updating the platform — would have been a Broncolor RFS 2 trigger built right into the body. The Phase One XF has a Profoto Air Remote built right in, which allows full control of your Profoto lights, freeing up your hotshoe for something else, or really, just one less thing to fumble around with/forget/lose/whatever. 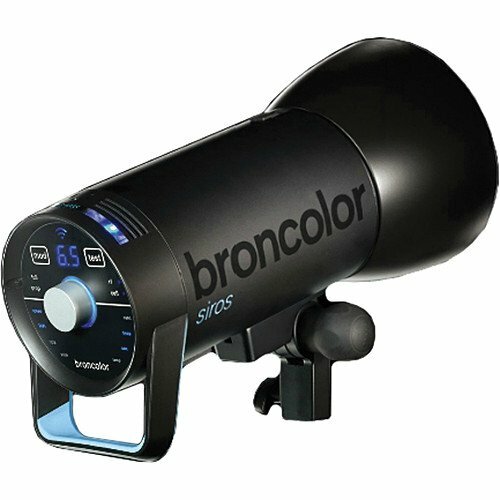 I use both Profoto and Broncolor lighting, so it's not a huge deal, but not having to carry around a trigger and being able to natively trigger my Broncolor lighting (which is what I use the most, above the other brands of lighting I own) without the need to attach a trigger would have been really nice. It would have also brought the H6D in line with the competition as far as feature set goes. Being able to control your lights and visualize their settings from either the information display or better — from the rear LCD — would have been amazing. The biggest and most exciting thing about the H6D is the rear LCD screen. 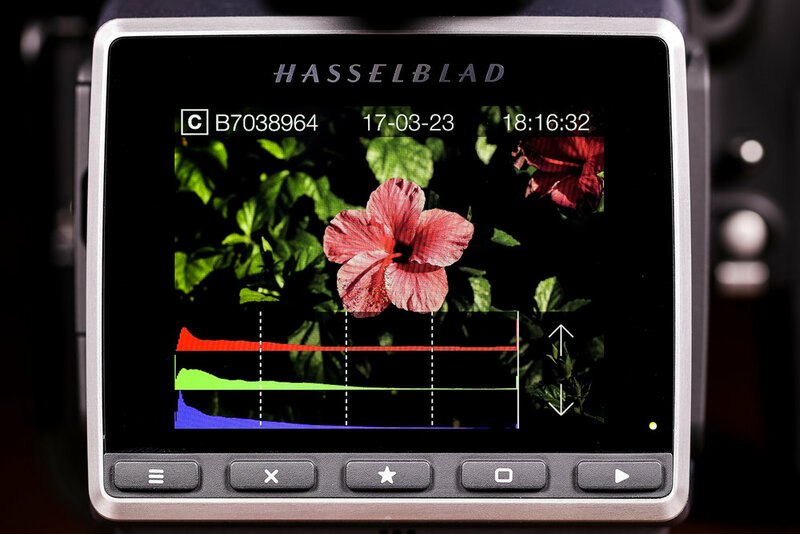 Hasselblad's new electronic platform backs have integrated a 3" near-retina touch-enabled rear LCD screen, with twice as many pixels as the previous H5D (920K vs 460K dots) — the increase resolution and touch capability further modernizes the camera, as the rear LCDs on previous Hasselblad cameras (and older medium format digital backs in general) were always a sore spot for the platform. The rear display sits flush with the glass touch screen set in a black bezel and contributes to the sleek and updated design of the H6D. The display is bright and beautiful similar in resolution and sharpness to we're used to seeing on our mobile phones, and displays pertinent exposure information, all entirely controllable via touch. Menu button - Activates main menu. Soft button - Function depends on screen information — Usually "Delete" or "Cancel". Image rating button - Rate image 1-5 stars or green/yellow/red. Also works as soft button. Soft button - Function depends on screen information — Usually "OK" or "Format". Browse button - Starts display and shows the last image. Allows review, browse and zoom. The rear LCD also gives access to all other setup functions of the camera — things like live view, mirror lockup, video mode, spirit level, and Wi-Fi. The icons on the main menu can be rearranged and customized, much like an iPhone home screen. The ability to access all of the camera settings and functions via the touch screen greatly speeds up the operation of the camera by removing the need to have to dig through complex menu structures, and increases the accessibility of the platform by being more user-friendly. These cameras are no longer intimidating! The left side of the back features all of the I/O of the back. There are inputs for 3.5mm audio out (usually headphones), 3.5mm audio in for microphones, Mini HDMI out for recording to an external device or monitor, 2.5mm Flash sync input, 3.5mm flash sync output (in addition to a PC-sync connection on the main body of the camera), and a 12v external power input. Below the I/O panel is a door which gives access to a USB 3.0 Type-C port for tethering. This is exceptional, and finally brings the platform to modern standards, in addition to offering over 5x the throughput of the old Firewire 800 standard. USB 3.0 tethering also seems to be more stable overall (though long runs with extensions may need external power through an active USB extension and something like the TetherTools TetherBoost Pro). The I/O panel is also weather-sealed, with a rubber gasket to help keep out rain and dust..
Huzzah! Dual cards slots are present in the H6D backs. The new backs make use of the CFast 2.0 media to support the read/write requirements for RAW 1080p and 4K video (in the H6D-100c), along with supporting a faster burst rate of up to 2.3 fps. The card slots are weather sealed, protected with a rubber gasket, just like the I/O panel on the opposite side of the back. As with previous backs, the H6D back is still particular about which cards will play well with it. Hasselblad publishes a list of approved/compatible cards. I found that my SanDisk Extreme Pro CFast 2.0 cards worked well with it, and they do appear on the approved list (Update: a new brand of cards I ran into, EgoDisk, work well with the H6D and offer up 256GB cards at less than $300. Read my review here). My Lexar 2000x UHS-II SD cards worked well enough, but apparently the back does not make use of UHS-II speeds, so the extra row of pins is unused. The H6D starts up quickly — much quicker than previous models, though not as quickly as modern DSLRs or mirrorless cameras that are near instantaneous. It does take about 5 or 6 seconds from powering on the camera to when it's ready to shoot. Thankfully, the battery does hold enough juice to get through most shoots, even with constantly reviewing images and checking focus on the beautiful new rear screen. Using the camera is an absolute joy, and every time you click the shutter — which, by the way, responds instantaneously — it's an event. The front command dial, by default, controls aperture, though I've switched that around in the menus to control shutter speed, as I'm used to. The rear command dial controls the aperture with my configuration. Buttons are laid out in sensible places, with the True Focus button easily within reach of your thumb when gripping the camera. Below the True Focus button lies tiny, and inset hard-to-use-by-design "Format Card" button, that allows you to format your memory cards without having to dig into any menus. Below that is the auto-exposure lock button. On the right side of the viewfinder, still within reach of the True Focus button — is the exposure mode button that allows you to switch your exposure mode (PASM), and metering mode (Spot, Center Weighted, Center Spot), using the front and rear command dials. 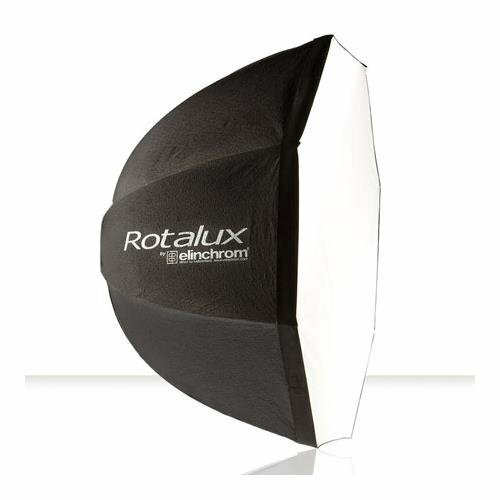 Just beyond that, but still within reach of your thumb — is the exposure compensation button that allows you to change your exposure compensation and flash exposure compensation, again, using the front and rear command dials. On the front of the camera near the lens, within reach of your middle finger, there is a dedicated mirror-up button that flips the mirror up for long exposures or for cases when you want to reduce mirror slap. The Mirror by default, stays up after the exposure, but can be set in the menus to drop down after each exposure if desired. This area als features a "stop down" (better known as depth of field preview) button, along with the cable release port. The ergonomics and handling on the H6D are sublime. Once you get to know the camera (which doesnt take long at all), you can operate it as quickly as you would your own camera system(s) that you've been fondling for years. If you noticed how I described the layout of the buttons, the camera can be operated swiftly and entirely with your shooting hand — provided you're right-handed, and don't have a left-handed camera. As expected of Medium Format, the camera is slow to focus compared to modern cameras of nearly any type. With lenses this large, it simply takes more to move the huge glass elements, equating to much slower autofocus, especially in the larger lenses (the 80mm f/2.8 and 100mm f/2.2 seem to be the quickest focusing lenses in the lineup when I tested them at Samy's in Pasadena). While Hasselblad's TrueFocus works exceptionally well, at close focus distances, the AF-assist light is blocked by longer lenses, and effectively does nothing. This means that I often find myself manually focusing or assisting the camera's AF system to get it close enough so that it doesn't have to rack back and forth trying to acquire focus. It seems faster this way. A big benefit of the huge mirror and prism on the H6D — You can easily tell what's in focus simply by peering through the viewfinder. Even on a 35mm Full-Frame SLR with an awesome OVF, you can't quite do that without a bit of practice and a focusing screen designed to help you manually focus. And plus, autofocus is so good on the latest digital cameras, that Manual Focus — except in extremely dim conditions — is a thing of the past, so it's not something many have had to concern themselves with. Previously, live view on medium format digital backs was very slow and unresponsive — the H6D brings live view up to current standards of consumer DSLRs. Live view on a medium format digital back is finally a joy to use thanks to the improved touch-enabled rear LCD screen on the H6D. The 920,000 dot rear TFT display is sharp, bright, and contrasty — it responds and refreshes quickly enough to panning around the frame when zoomed in during live view and makes it much easier to achieve critical focus in a controlled environment, such as product photography. During playback, you can display different views of information from a luminance histogram, to an RGB overlay histogram, Individual color histograms, exposure warnings, and general photo information such as capture settings and file number. This is all switchable via the "square" soft button, or by swiping between information views. The H6D-50c has the same smaller 43.8 x 32.9mm 50-megapixel Sony sensor used in many other cameras and digital backs, including Hasselblad's own mirrorless X1D and the previous-generation H5D-50c. While a bit long in the tooth (first seen in the Hasselblad H5D-50c in 2014), The sensor has proven itself and is still being used in current-model and newly-released medium format cameras (see: Fuji GFX-50s, Hasselblad X1D), and still outperforms the best 35mm CMOS sensors. So if image quality is a concern, worry not. Photographic Dynamic Range of the Hasselblad H6D-50c (click to enlarge). Photographic Dynamic Range Shadow Improvement of the Hasselblad H6D-50c (click to enlarge). And because you may be wondering; the same results, compared with the Fuji GFX, Pentax 645Z, and the Phase One IQ250, all of which employ the same Sony 50-megapixel sensor. For all intents and purposes, the Hasselblad X1D performs almost exactly the same as the H6D-50c back, considering they use (what i'd assume) is the same image processor, so I did not include it on these charts. Photographic Dynamic Range of the Hasselblad H6D-50c vs. Fujifilm GFX-50s and Phase One IQ250 (click to enlarge). We can see that all of the cameras perform about the same from ISO 100-3200, with the exception of the Phase One IQ250, which appears to be about 2/3 stop better in terms of dynamic range from ISO 200 through 1600. At ISO 3200, all of the cameras seem to converge in terms of DR performance, with the exception of the Pentax 645Z, which lags behind the pack by almost 2 stops. Photographic Dynamic Range Shadow Improvement of the Hasselblad H6D-50c vs. Fujifilm GFX-50s and Phase One IQ250 (click to enlarge). From samples I've seen being posted around on facebook groups and other samples online, it seems like the GFX has incredible shadow recovery, and the above chart shows that it seems about 1/3 - 1/2 stop better in terms of shadow recovery than the competition. I'm wondering if this is simply a difference in the processing; In my short time with the H6D, I've noticed that it has incredible highlight recovery capabilities, but pushing deep shadows can sometimes get noisy in a hurry — this could be a choice on the part of the manufacturer, keeping in mind the camera's intended purpose/audience. While the Hasselblad is primarily a studio and location camera more likely to be used in conjunction with lighting (where you don't tend to push shadows to an extreme amount), being able to pull or recover highlights may be a little more important (hotspots, slightly overexposed areas, etc.) — and the GFX is more of an all-around tool, often used with natural or less-than-ideal lighting conditions, where pushing shadows is more common. There is some slight haloing, but it's easily fixed in PS or with some more care in processing. Additionally, I made the quick adjustments in Lightroom, and I have no doubt that Phocus may have been able to handle the file better, but I'm still getting used to using Phocus for processing. Note: The following issues are present as of the time of writing, running on version 1.12.1 of the H6D camera body firmware, dated December 5, 2016. It is very likely that these will be resolved in new firmware updates. When shooting, I occasionally had issues when shooting in RAW+JPEG. Sometimes the JPEG files were not written to the card, at least not in a way that can be read by the Phocus Mobile software to show a preview in the list view — or, if shooting to the SD card, in a way that my SD card reader for my iPhone would recognize. When opened on my computer, they seemed to be there and open just fine, but would not generate previews — Odd. Another quirk — I'm not sure of what the buffer on the camera is like, but it would sometimes hang and stay "busy" for some period of time, even between slow sequential shots. On three occasions I had to power down the camera and remove/re-insert the battery. I can only suspect that this is due to it not liking the card(s) I was using (or a firmware issue), and not a result of shooting too much, too fast, as the cards I'm using are plenty fast enough. While the H6D features dual card slots, it seems that the implementation is very rudimentary. As of the current firmware (v 1.12.1, Released 12/5/2016), the second of the chosen card slots (usually the SD card) can only be set to "overflow" or "none". Thus, you cannot record to both cards for redundancy, nor can you record RAW to one card, and JPEG to the other. With as finnicky as the camera is with cards, this is a bit concerning, as it's entirely within the realm of possibility that you can suffer lost data. Additionally, folder creation and browsing is currently unavailable; I usually don't create separate folders as I usually use a freshly formatted card for each shoot, but I know this may be an issue for some photographers, so it's worth a mention. The H6D only has full-stop increments for ISO. Not a big deal, I guess. Intermediary ISO settins is just another one of those things I've grown accustomed to with DSLRs. Additionally, it does not have Auto-ISO; again, not a big deal, since I almost never use it on any of my other cameras. The back was advertised as being able to be powered via the USB 3.0 Type-C port, which is currently not the case — this is mainly an issue for users of technical cameras, as the only way to power the back in this configuration, at least currently, is to use an AC adapter. I imagine this feature could be useful to possibly power the back via a portable USB charger/power bank, which would be really cool. Image rating on the back via the "star" button is currently not functional. This was a feature I wish were working, as it was something I would often use during shoots to quickly "1 star" a shot I or the client liked, to make culling quicker and easier later. The camera does not have auto white balance, and currently there is no way of setting a custom white balance from an exposure, though it's something that should be available in a coming firmware update (slated for mid-April 2017), along with a plethora of other much-needed features. Many of the above issues are being addressed in these coming firmware updates, which is great. While I know they're currently focused on the X1D, looking at the firmware archive on their site, the H6D (and older models) have been very well supported through continuous firmware updates in the past. So that's reassuring, even if a bit slow for my taste. In all, the H6D is missing some key features that were touted up to and during its release, but I know that the features will come through consistent releases of new firmware. As it stands in its current state, it's a fine photographic tool, limited only by your imagination. None of the currently missing features are deal-breaking, and will not in any way hinder its (or your) capability to make great photographs. The lenses are exceptional in both build quality and performance. The lens bodies are all metal, as is the hood, with a rubber focusing ring (and a matching zoom ring on the 2 zoom lenses available). They are all pretty hefty as a result of the large glass elements and the all-metal construction. The primes, up to the 100mm f/2.2 are as small as they could physically be, and light enough that it doesn't become a chore to shoot with them. The smallest lenses — the 80mm f/2.8 and 100mm f/2.2 — are especially nice lenses and can easily be used for general purpose photography as they are light and compact enough to not turn an already large camera into an even bigger one. Checking out and testing some Hasselblad HC lenses at Samy's Camera in Pasadena, CA. I currently own the HC 80mm f/2.8 and the HC 120mm f/4 macro lenses, both of which are exceptional performers. The 120mm macro is impossibly sharp, though slow to focus. I've also noted issues with autofocus performance at distances greater than about 6 feet — which is also a noted problem from other users. I plan on picking up either the 100mm f/2.2 or the 50-110mm zoom next, simply for its versatility. Long exposure in-camera has been improved from 34 minutes on the H5D, to up to 60 minutes on the H6D. At the top end, shutter speeds have been improved to up to 1/2000th with the new "orange dot" HC lenses. Hasselblad says this is achieved through both the H6D body and the new shutter mechanisms in the new lenses working in tandem to achieve a much higher shutter speed. Unfortunately, I only own the "old" 80mm and 120mm Macro, and so I did not have a chance to test the 1/2000th shutter speed, as I could not find any owners or places to rent the new "orange dot" lenses. Older lenses are still limited to the old 1/800th shutter speed on the H6D. An "orange dot" Hasselblad HC lens, denoted by the orange square on the lens body. Since all of the lenses are leaf shutter, the H6D (or an older body with a new lens) makes your flashes that much more powerful when cutting ambient, as it will sync at any speed up to the above top speeds. For me, this was the dealbreaker for the GFX — I often shoot location or environmental portraits, and a 1/125th sync doesn't cut it. It might be fine in the studio, but sometimes you may want faster than 1/125th in the studio — either to completely kill ambient, or if shooting handheld, for sharpness. Hasselblad offers a CF lens adapter that allows you to mount old CF lenses for the V-system onto H-system cameras, opening up more possibilities for lens selection. CF lenses can be found on the cheap through outles like eBay or Craigslist, so building up a lens collection for you H-camera doesn't have to be expensive. By far the coolest adapter for the H-system and possibly one of the reasons why one would go Hasselblad over any other brand of medium format offering, is the HTS 1.5 Tilt-Shift Adapter that allows tilt/shift/swing movements for most of the Hasselblad HC Primes — it works with the HCD 24mm & 28mm, and the HC 35mm, 50mm, 80mm, and 100mm primes. Hasselblad's RAW conversion software, Phocus, has just gotten a major facelift in version 3.0 to coincide with the H6D. Tethering has improved as a result of both the new Phocus software and the move to USB-C 3.0 tethering. There are tons of reports of unstable tethering in older digital backs when using Firewire. Note that long USB runs with extensions (or multiple extensions) may need external power through an active USB extension and something like the TetherTools TetherBoost Pro, as many laptops modulate USB port voltage in the interest of battery life. Having not been familiar with Phocus prior to using the H6D, the latest version was relatively simple and intuitive to use, and certainly the best option for processing your Haselblad .3FR RAW files. One thing that stood out is its Black and White processing which makes it easy to deliver great B&W imagery. One thing I was a bit disappointed by, was not being able to configure the H6D "User Profiles" or custom button assignments, but I'm assured it's coming in a future camera firmware update, along with a Phocus software update. Understandably, Hasselblad's focus is on the X1D as that's what will drive them forward and create the profit they need to sustain growth and afford them the opportunity to innovate. That's not to say that this flagship camera has been neglected, however. A firmware update is slated to come within the next month, and looking at the firmware archive on their site, the H6D (and older models) have been very well supported through continuous firmware updates. Tethering and remote camera control through Phocus worked flawlessly over the new USB 3.0 connection. A lot of issues have been reported in the medium format world of Firewire not being very reliable during tethering — multiple drops or spotty connections which would require restarting the capture program, or in some cases, restarting the entire computer to continue. It's good to see most of those issues have been remedied via the new Software and USB 3.0 interface. This is a positive first impression for users new to the platform. Wi-Fi on the H6D is very easy to set up. It's enabled via a "switch" in the camera's menu, and can operate in both 5GHz and 2.4GHz frequencies to ensure a strong connection. When Wi-Fi is turned on via the back, the H6D creates an ad-hoc access point to which your phone or tablet can connect directly to interact with the camera via the Phocus Mobile app (currently only available for iOS devices). In Phocus Mobile, you can browse images as they are taken, start/stop live view, and control all the camera settings (autofocus start, mirror-up, shutter/aperture/ISO), as well as trigger the camera from your phone or tablet. The file browsing screen. Sometimes image previews will not show up, but are still viewable remotely. Camera control/setting screen. All of the camera's exposure, metering, autofocus, and many more settings can be adjusted here. Phocus Mobile allows fine adjustment of focus from the app, and you can double-tap any region to zoom in and achieve critical focus. It all responds very quickly with minimal lag. While it all works for the most part, I did encounter some issues with Phocus Mobile, however. The remote focusing did not work with the H6D when I tried using it — at least, not with the 120mm f/4 Macro. Swiping to adjust focus had no response from the camera, though initiating autofocus from the app when taking an exposure worked. Other functions such as remote image browsing and adjusting camera settings, mirror up, and triggering worked flawlessly and responded almost instantaneously. Also, during live view when trying to adjust fine focus, I noticed that it would stop feeding a live view to the phone and drop the mirror again after about 10 seconds. I later found out that this was related to the "Display Off" timeout feature, which can be set on the back through Main Menu > Settings (the cog/gear) > Power and Timeouts, and then setting the "Display Off" function to a longer period of time, or "Never". I should note, though, that the wireless manual focusing feature is extremely fine in its control and should only be used to make minute focusing adjustments for product, macro, and still-life photography; it would take far too long to manually focus a scene or portrait from completely out of focus to in focus using this feature. Another issue that popped up — and it may be related to the memory card issue — is the app would crash if trying to download the images remotely from the camera. If I took a photo that I liked and wanted to immediately save it to the phone, the application would crash every time on my iPhone 6S+. Further, many image previews were not available from the list/browsing view in the Phocus Mobile app (see above). Other than those small issues, image browsing, preview, and camera control were all very snappy, and I expect it to get better and less buggy over time. Note: At the time of writing, I'm running the latest firmware (v 1.12.1) on the camera, along with the latest version of Phocus Mobile (v 2.3). I have not used Phocus 3.0 for tethering in conjunction with Phocus Mobile for preview yet, though I assume it's similar in operation to Capture One with the Capture Pilot app. Once I get a chance to test this out, I'll update this post and/or create a blog post specifically to talk about that mode of operation. For a camera with such high resolution, and that doesn't come with electronic nannies like Optical Image Stabilization, comes the harsh reality that your technique — which used to deliver great results on lesser cameras with all the high-tech wizardry — is not as good as you thought it was. For as long as I can remember, photographers have been shooting with rapidly advancing systems that are designed to make photographers' jobs easier with every generation — constantly improving complex metering systems, Optical Image Stabilization, and other technological advances have made making technically great photographs accessible to nearly anyone that wants to try. That is not the case with this camera. There is no image stabilization in any of the available lenses and with the higher resolution, when using longer lenses or compositions where you are close to your subject, the camera is ruthless about highlighting flaws in your technique. Every small shake or movement is seen when viewed at 100% — I guess this would explain why these are generally used on tripods, even ignoring the weight issue (which, really isn't even that bad). Even then, for longer exposures mirror lockup or shooting in live view is recommended, as the slap of the humongous mirror does cause enough vibration to put some motion blur in your shot, even with a sturdy tripod. Because of the incredible resolution, lack of "nannies" and other features, it has certainly slowed me down in a good way — It's forced me to improve my technique; to learn to think more about the shots I take, and make sure it's what I want. The rule of thumb for the inverse of your focal length usually isn't enough; 2x focal length is more comfortable for ensuring an acceptable result. And because of the shallower depth of field of medium format, you're usually stopping down and cranking the ISO higher to achieve that shutter speed — or you can just improve. and a 100% crop. Lacking in contrast because of the flare, but still extremely sharp. One of the reasons for a camera like this is if you want or need the increased resolution, incredible detail and color tonality that can be captured — but if your technique isn't impeccable, the advantage is almost completely lost. But, when you do get a sharp shot — handheld, or tripod — you're rewarded with results that are astounding. The sharpness in even the most minute details, the color depth and tonality, the soft, gradual depth of field falloff, and every other aspect of the resulting photograph is just that much more than a regular DSLR. Even with the issues I've described throughout this post, the camera still does have that je ne sais quoi. It's everything I expected it to be and fell short in some aspects, but it served the purpose for exactly that which I bought it for. In a previous blog post, I described my desire to move to Medium Format as a way to slow down and be more considerate in my photography — my hope was that by being restricted by the "slowness" and more deliberate nature of medium format would make me more selective in my shots. It's far too easy with modern blazingly-quick DSLRs to fire off superfluous frames and just pick the best ones during culling later. My primary goal and ultimate reason for wanting to switch to Medium Format wasn't because I needed it (because, let's be honest — most people don't), but because I wanted to slow down and simplify. I had to get rid of a lot of my gear that went unused, or that I didn't think I'd miss in order to get into an H6D. Lots of high-end lighting, modifiers, cameras, lenses, and accessories were sold, and it all wasn't even close to the price of the camera, let alone the lenses. But, wanting so bad to get into medium format forced me to get rid of a lot of the tools that were making me comfortable as a photographer. I do still have most of my Canon 35mm kit, as medium format is in no way a replacement for the workhorse professional DSLRs, and is a long way off from doing so, if ever. And while I essentially just "traded" a ton of my other gear and then some to get into this, out of all the gear that went to a new home, I'm left with just a camera, and (for now), only two lenses. In that way, I think I've been able to simplify — albeit not very efficiently, or even intelligently. I've certainly found that the H6D-50c has imposed those limits that I seeked. Much like a sports car only used on the weekends, the H6D is a very expensive piece of kit that I don't want to put wear on for simple "snapshots". In the first week, I probably shot less than 100 frames — many of which were just testing settings and getting to know the camera and its operation — and in the first month, less than 500. But every time I clicked that button, it felt like an event. The very mechanical, metal sounding "ka-thunk-clack" of the giant mirror and leaf shutter actuating as you take a picture makes you feel like you actually captured the photo you just took — like you physically reached out and grabbed the moment. It's different enough from anything you may have ever shot before — it just feels special. During getting to know the camera, the act of pressing the shutter to take a photo became almost meditative; I found myself thinking more about the important things that actually go into making a photograph — about the composition and the moment, and less about the technical considerations, or any whiz-bang features that the camera may be capable of — simply because the camera doesn't possess those capabilities we've all been accustomed to. And that's not necessarily bad. I may be waxing poetic about what it's like to actually use this camera, but that's about the best way I can describe my experience with this thing (by the way, I'm not alone; both Michael Clark and Ming Thein have talked about the same je ne sais quoi of shooting a Hasselblad). Hasselblad's slogan is "Create To Inspire", and during my short time so far with the H6D-50c, I've found it goes both ways. Many of us have been inspired by master photographers using these same cameras to create beautiful imagery. And while beautiful images can be created regardless of the gear, I've found that simply having the camera in my hands inspires me to create. Given my previous reasons on why I want to invest in Medium Format, I'd say mission accomplished.